I can't remember the exact moment I became a Splash Party Scientist. But I do know it didn't happen overnight. Mastering the subtle art of event marketing takes hard work, practice and a whole lot of trial-and-error, my friends. When I was first starting out, all I had to rely on was my own intuition and true grit. I'd grapple with questions like: "How do I write an effective reminder email?" and "How do I design a captivating event page?" I would have given everything for a one-on-one training session with a real Splash Party Scientist. Someone who could truly show me the way. Well, the wait is over. Today, we're launching the first-ever Splash Webinar Series: Bi-weekly, no-holds-barred, interactive training sessions with Splash Customer Success Managers like me. 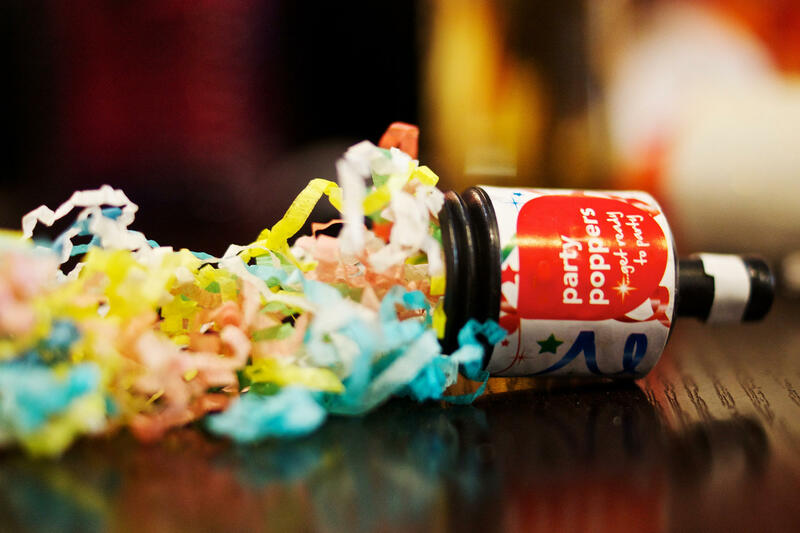 This is a great example of a captivating event page using GIFs. And 80s pop song puns. As our CEO and co-founder Ben Hindman so eloquently put it: "You’d be surprised at how much information people are willing to offer up when they RSVP to an event. All you have to do is ask." Indeed. We'll show you how to go beyond the basic RSVP information (e.g. name and email), and dive headfirst into event-marketer-pro territory. For example: Asking job candidates for their LinkedIn URL in an RSVP form. What better way to pre-screen prospects before they arrive at your recruiting event? Now THIS is an optimized RSVP form, ladies and gentlemen. 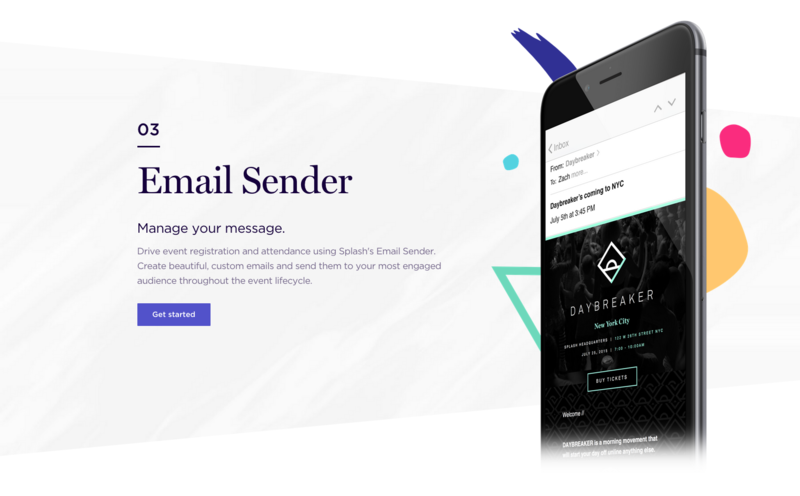 From email confirmations to calendar invites to social sharing, we'll teach you everything you need to know to make sure your event touchpoints are buttoned-up and on-message. 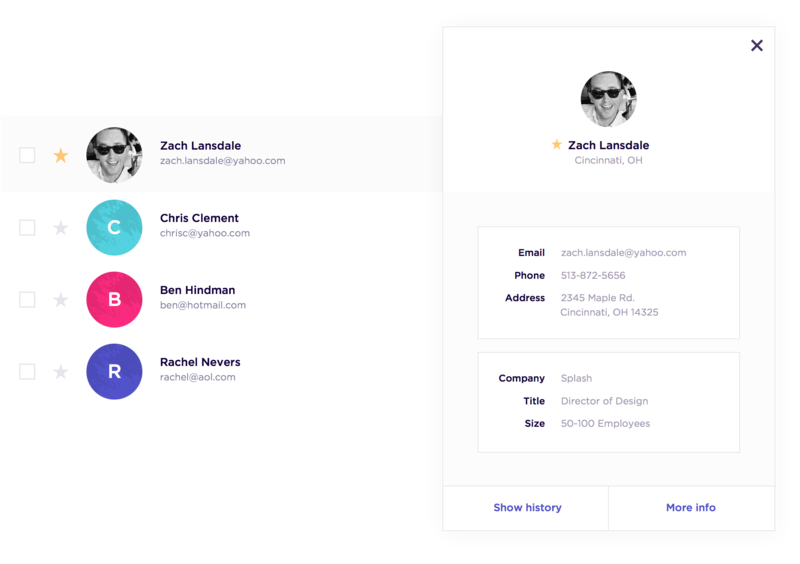 Splash Email Sender is optimized to easily guide users through the email marketing lifecycle - no hand holding necessary. An effective event email marketing plan follows a lifecycle: The save the date, the invitation, the reminder email(s), and finally, the follow-up email. We'll teach you the basics of how to use Splash's Email Sender to design and schedule each email, and target your guest list accordingly. Like sending a "Thanks for coming!" email to guests who showed up and a "Sorry we missed you!" to the no-shows. An amazing event starts with an amazing invite. We'll teach you how to do it right. If someone clicks on two emails in your event marketing sequence, we consider that as valuable a lead as someone who actually attended your event. Crazy, right? Learning how to read and analyze event data is a skill that every event marketer should master. 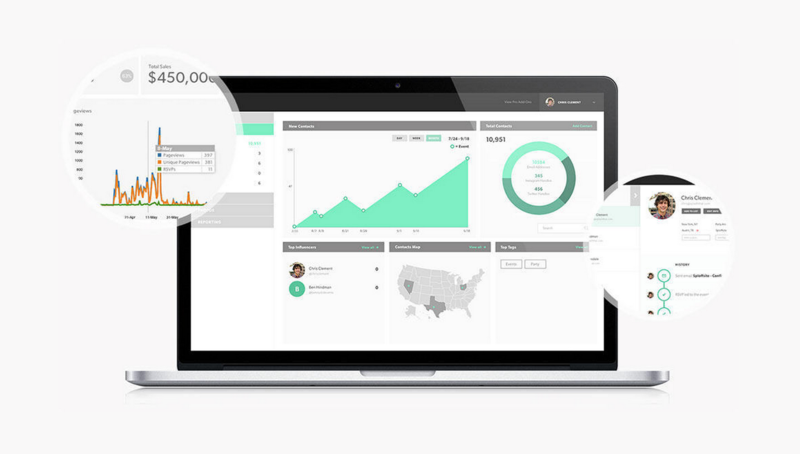 We'll walk you through our Analytics dashboard, and give you a few tips on what you can do with the data you're capturing. Knowledge is power, party people. The Splash Customer Relationship Management (CRM) system is a powerful tool in any event marketer's toolbox. The best part? The more you use it, the stronger it gets. We'll teach you the Splash CRM essentials: Like how to create contact lists, find your most valuable attendees, and integrate with marketing software platforms like Salesforce and Marketo. If you're still using Excel or Google Docs to manage your guest lists and RSVPs, you're doing it wrong. Trust us. So what are you waiting for? Click here to register for a free Splash Webinar right now. Zach is a Senior Customer Success Manager at Splash, which means it's his job to provide top clients with the "tools to be great." Beyond the office, Zach is a coffee and crossword puzzle connoisseur, a premium pens enthusiast, and a huge fan of the Notorious B.I.G. He also has an elite circulatory system, making him preternaturally equipped to endure a NYC winter.